to work at something in an irregular and superficial manner. In the world of personal injury and workers’ compensation law, a “dabbler” is a lawyer who says they can handle your automobile accident or work-related injury case, but they define “handling your case” as crossing their fingers and hoping everything works out for a quick settlement. Unfortunately for the dabbler (and their client), this approach rarely yields the best results. A dabbler will try to say all the right things to get you in the door. They may claim that any attorney can handle personal injury or workers’ compensation cases — a claim which is only half-true. 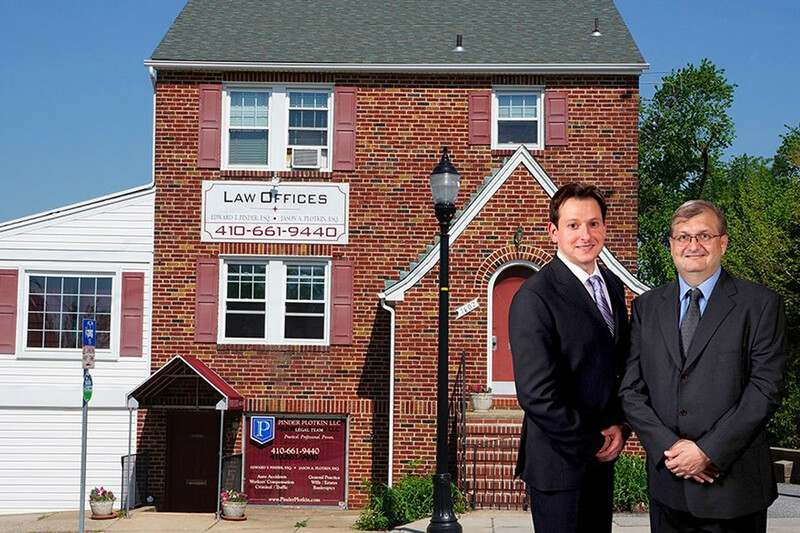 Any attorney is allowed to represent you in Maryland for a personal injury or workers’ compensation claim. However, even cases which seem “straightforward” cases often become complicated when insurers attempt to claim the accident was not the cause of the injury. Experience in conflicts and reading medical records often makes the difference between winning and losing a case. If a case turns out to be more complex than the dabbler initially thought and it appears that he or she may have to go to court, they will quickly realize that they don’t have the resources needed to prepare for a trial. If they have their clients’ best interests in mind, they’ll refer the case to another attorney who has the experience and staff to handle the case properly. If not, they may push their client to accept a low settlement that doesn’t fully cover their injuries. Insurance companies know about the existence of dabblers. In fact, they maintain databases that use an attorney’s tax ID to track every settlement or judgment associated with that attorney. This lets them identify dabblers by seeing how many cases an attorney has handled and how those cases were resolved. If the insurance company in your case sees that your lawyer is a dabbler who isn’t prepared to take your claim to court, you can bet they will adjust their strategy and any settlement offers accordingly. At Pinder Plotkin, we focus our practice on personal injury and workers’ compensation claims, and we have years of experience handling challenging cases in these areas. More importantly, we approach every case under the assumption that we will have to take it to trial. Our firm has the support staff, resources, and network of experts needed to undertake complex personal injury and workers’ compensation litigation, and we’ll never hesitate to stand up and fight for your rights in court if we believe it’s in your best interests. If you’ve been injured in a motor vehicle crash or a work-related accident and you’re searching for an attorney, you should ask them the following questions. If the attorney fails to answer or seems flustered by any of them, it’s a warning sign that he or she doesn’t have the resources and experience your case demands. In other words: you may be dealing with a dabbler. How many cases did you actually try to verdict last year? When was the last time you were in court trying a personal injury case? How many depositions (oral examinations under oath) have you attended in the past year? When was the last time you cross-examined an insurance company doctor? Can you name at least 7 physicians regularly used by insurance companies to deny compensation to injured individuals? What are the AMA Guides and how do they relate to my case? When was your last jury trial? Does the term 10-104 mean anything to you? Can you name all the WCC commissioners? Can you name any of them? Can you electronically file my WCC claim? In addition to these questions, you should also ask the attorney about their staff. Communication is extremely important in a personal injury or workers’ compensation case, and if the attorney has no support staff, they may not be able to deliver the personal attention and prompt communication that you should expect from your attorney. At Pinder Plotkin, our focused and capable legal team is one of our most important assets when it comes to handling complex personal injury and workers’ compensation cases. Thanks to their hard work, our attorneys can devote their complete attention to the legal details of your case. Meanwhile, the rest of our team takes care of every clerical task and follow-up call while keeping you informed and up-to-date regarding the status of your claim. Remember: your case is too valuable to be dabbled with. You only get one chance to make sure the insurance company will make things right. If you’ve been injured in a motor vehicle crash or work-related incident, contact the legal team at Pinder Plotkin. You may be entitled to compensation, and our attorneys have the resources and experience to fight for justice on your behalf. For personal injury and workers’ compensation claims, our fee policy ensures that you will not pay any attorney’s fees or expenses unless we achieve a financial recovery in your case. Please call us today at (410) 661-9440 or fill out our online contact form to schedule a free consultation during which we can discuss your unique situation and inform you about your best option moving forward.